Cobalt in Hydroponics : Better or Worse ? On yesterday's article we talked about silicon, one of the most beneficial non-essential nutrients you can use in your hydroponic crops. Although Silicon has proved to give marked benefits in peer-reviewed scientific studies, other elements are usually commented on being beneficial without a thorough investigation around current scientific literature. One of this particular cases is Co, with this element being often portrayed as a way to "increase flowering" or "increase fruiting", something which studies have shown to be false for several different plant species. On today's article we will talk about cobalt, its potential use in hydroponics, the conclusions of the studies that have been done and the potential danger involved with the use of cobalt in hydroponic solutions. Cobalt is a transition metal from the same group as Rhodium and Iridium with chemical properties similar -yet quite different- to these other elements. As a chemist specialized in the area of organometallic chemistry - and especially through my work with this group - I have always enjoyed the chemistry of this element. Cobalt has many uses in pigments, radiotherapy, batteries, etc. Biologically its most important role comes as the metal center of the vitamin B12, cobalamine, which is essential to human life. Vitamin B12 is a large coordination complex in which Cobalt is tightly bound by an organic macrocyle, interestingly enough, this is one of the very few examples of a carbon-metal bond in nature with one of the axial ligands of cobalamin being a methyl organic group (in methylcobalamin at least). So now that we know that cobalt is an essential part of a vitamin, it may seem obvious to use it as a minor constituent of our hydroponic formulations. 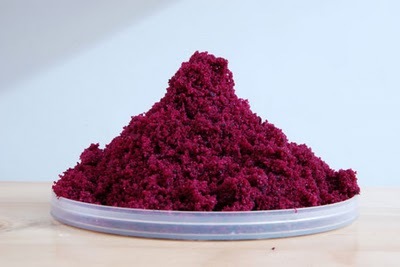 However careful studies have shown that - if cobalt is needed by plants - it is only needed in the most minute quantities with concentrations of only 5 ppm already being markedly detrimental to plant growth (L.Gómez shows this effect in two studies in both lettuce and tomato). Other studies in the lower concentration range (>5 ppm) are contradictory and none show conclusive evidence that the additions of cobalt may be a good idea to increase plant yields in general. Some people argue that cobalt is essential for some nitrogen fixing bacteria and that plants that rely heavily on these organisms might see improvements with cobalt additions not because of their "personal use" but because of the added benefit of having a healthy microbial population. Although these claims seem to "make sense" to a certain extent there haven't been any studies that confirm that this is true and that a strong and obvious effect exists due to the addition of cobalt to a nutrient solution. If anything current studies point to the fact that cobalt additions can be detrimental and that -if beneficial- it would only be in the smallest quantities which might already be present in your formulation through mineral impurities. You have to take into account that most people and companies use fertilizer grade chemicals for the preparation of their hydroponic formulations (otherwise it is not cost effective). These chemicals are most of the time around a purity of 80-98% with most of them being in the 95-98% zone. Since some of these minerals hold cobalt as some of their natural impurities (copper and manganese salts for example) it is not surprising if adequate cobalt levels are already present in your solution through the mere impurities you introduce with your own formulations. In the end it seems that cobalt additions are unnecessary and the person doing them runs the risk of decreasing their yields and possibly causing a toxic accumulation of this nutrient within the plant's system that may later be detrimental to the consumer's health. In this case the no-harm principle should apply, if a given additive is suspected of having detrimental effects then avoiding it is the best possible course of action while conclusive evidence of any positive effect (and the dose in which they are achieved) is revealed. Right now we know plants grow very well without additions of Co and we also know that even low concentrations of Co are not beneficial.